All players need to register for MyFootballClub and pay the $54.72 registration fee. Effective immediately the 3rd player fee instalment will be reduced from $115 to $60. The total player fees payable to the club is now $225. Registrations need to be completed by Thursday 5th of April. If you need help we will provide support after training on Tuesday the 3rd and Thursday 5th. Go to http://www.playfootball.com.au and click ‘Register Now’. Players that have previously played in the SAASL or FFSA (or similar interstate) should click scenario 2: “I have been registered as a player/referee/coach/volunteer before but need to find my FFA number prior to completing my registration” and then go to STEP 3. Players that have never played in the SAASL or FFSA (or similar interstate) will not have a record in the database and will need to create a new account using scenario 3: “I have never been registered before and would like to create an FFA account to commence the registration” and go to STEP 5. Enter your First Name / Last Name / Birth Date and click search. IF you have previously played in the SAASL or FFSA (or similar interstate) but cannot find your record please try an alternate spelling of your name. If this fails, contact Tim Rendell or Luke Hadaj for further support. Click on your record and follow the instructions to reset your password. IF you have 2 records in the database you most likely have played in both the SAASL and FFSA before. Please choose the record with the lowest ID number. Login with your new password and click the ‘Register’ button. Complete all of the required fields and click next. Click next and process the payment with a debit or credit card. 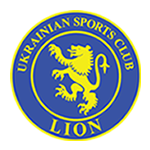 If you have any issues with the player registration process, please contact usclion@gmail.com or Tim Rendell or Luke Hadaj. You can download or print a copy of these instructions HERE.